Our skin is subjected to numerous experiences that leave it less than perfect. Time, heredity, and gravity all do their part to create fine lines and wrinkles, especially around the mouth and eyes. 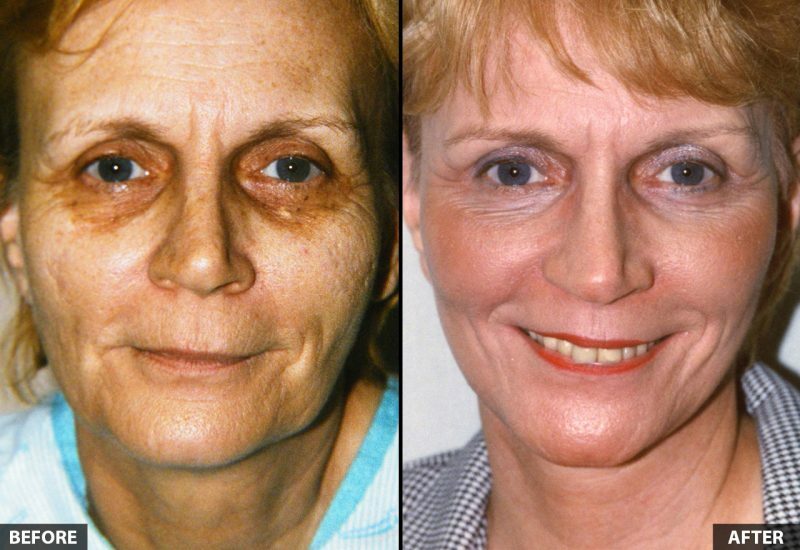 Continued exposure to the sun and smoking are known to significantly accelerate the development of these natural signs of aging. Using an SPF sunscreen of 30 daily and stopping smoking will benefit your skin and health greatly. Thermal skin resurfacing is different from fractional laser treatment. Fractional laser treatment causes tiny openings in the skin. As the skin heals it contracts somewhat. The effect is generally noticeable but subtle. In contrast, thermal resurfacing entirely removes the epidermis and some of the dermis of the skin (the first layer and part of the second layer of the skin), this causes a more significant improvement of the wrinkles. Thermal skin resurfacing is best suited for moderate to deep wrinkles as it can give a more effective result than any other treatment. Thermal skin resurfacing can be used on any area of the body. Typically it is used on the patient’s face, around the eyes and mouth. A topical anesthetic ointment will be applied 30 minutes prior to your procedure. This can be done at the office or at home if arrangements are made in advance. Once the surface skin is numb, Dr. Viggiano will put local anesthetic into the sites to be treated. Then Dr. Viggiano will use a pen-shaped thermal cautery to smooth the skin by removing its top layers. You will need to keep the area that was treated moist with Vaseline at all times until the area is healed. You will need to wash the area daily with warm, running water. A mild facial cleanser may be used as well. Reapply the Vaseline as often as necessary to keep a scab from forming (a scab will form if the wound is too dry). You may notice a yellowish crust and/or fluid at the treated site. This is normal and should be gently removed under running water with a clean, wet cloth. It will take about 1 week to heal. You will have swelling that will last 7-10 days; redness may persist for several weeks. Thermal resurfacing works by lowering the raised areas of skin to the level of the bottom of the wrinkle. In the days immediately after the procedure the normal swelling will expand the skin and make the result appear better than it might appear in 2-3 weeks once the swelling has substantially subsided. The long-term improvement will take weeks to months to see. This long-term improvement occurs as the healing contracts the skin over the following months. One treatment will give improvement that will last your lifetime. Wrinkles may recur as you age but they will always be less than if you never had thermal cautery resurfacing. After complete healing, secondary treatments can be performed if needed if wrinkles are still present or new ones form. Results of resurfacing are long-lasting, but not permanent. Treatments do not prevent the development of deeper wrinkles with aging.